Prague-based business and services provider OKIN BPS has selected San Antonio for its U.S. headquarters. The expansion will create around 1,500 jobs and nearly $23 million in capital investment. OKIN BPS has received an incentive from the Texas Enterprise Fund grant for $6.6 million. 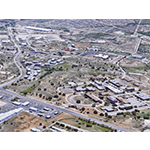 The Logistics Commerce Center on San Antonio’s Northeast Side will be built in two phases. 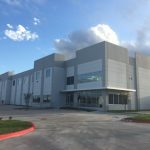 Davis Commercial Development broke ground on its Logistics Commerce Center, a 400,400 sf industrial complex in the Northeast Side of San Antonio. 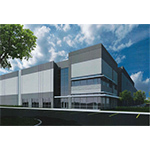 The center is being built int the Cornerstone Industrial Park and will be comprised of 260,000 sf Class A cross-dock warehouse, and a 140,400 sf front-load warehouse. Colony Industrial, the industrial real estate arm of Colony NorthStar Inc., has bought the Enterprise Industrial Park for $52.1 million. Enterprise Industrial Park, at 17745 Lookout Rd. 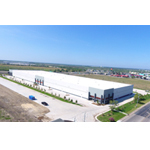 in Schertz, consists of two Class A light industrial buildings totaling 639,797 sf. The buildings are 88 percent leased to nine tenants with a weighted average lease term remaining of 5.3 years. The two buildings, in the heart of I-35’s industrial corridor, neighbor such notable tenants as Amazon.com Inc.’s regional fulfillment center and Caterpillar. New 187,000 SF building to be completed by November. 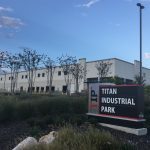 Titan Industrial Park, which straddles the boarder of Schertz and Selma, has announced a new addition to the 125-acre site. After a vigorous performance in 2016, it seems as if the San Antonio industrial market paused in the first quarter to catch its breath. Despite new leases and expansions, the market experienced 84,529 square feet of negative net absorption. Next week, the San Antonio City Council will consider incentives for a proposed 1.5 million-square-foot distribution facility for retailer T.J. Maxx.